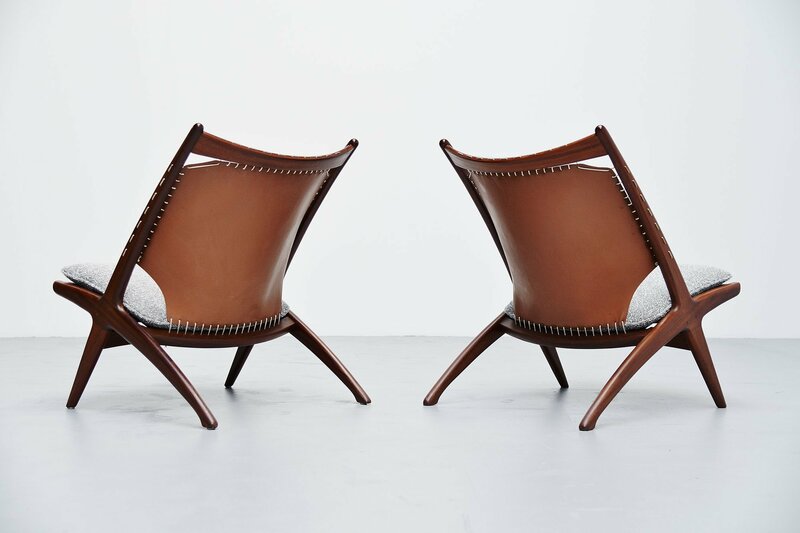 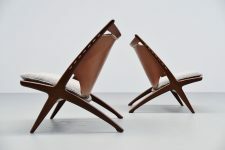 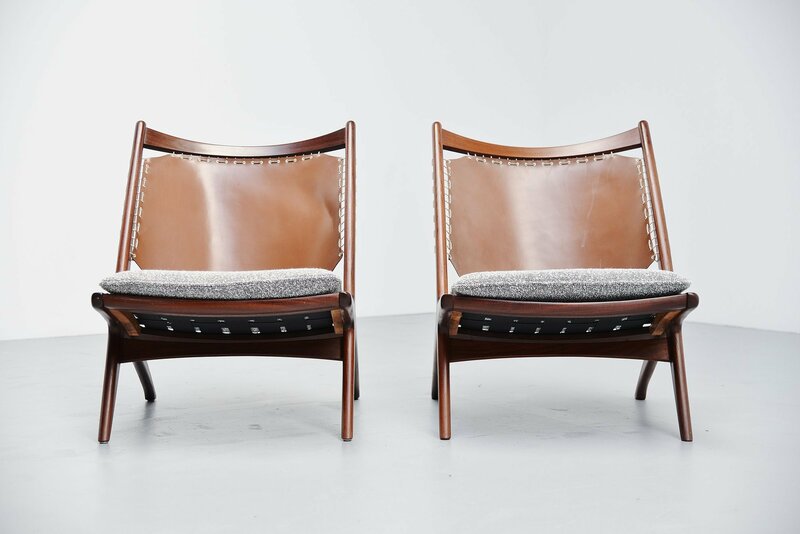 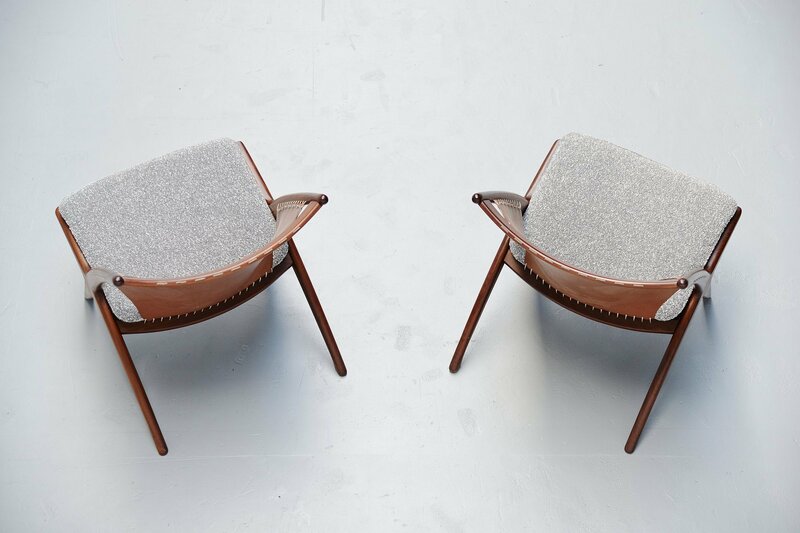 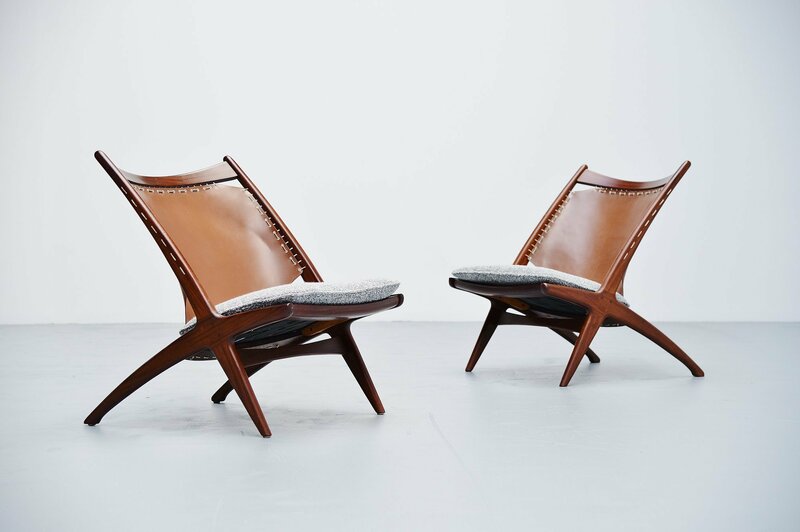 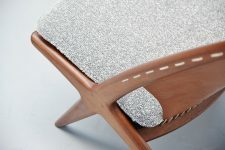 Rare pair of lounge chairs designed by Frederik Kayser and manufactured by Gustav Bahus, Norway 1955. 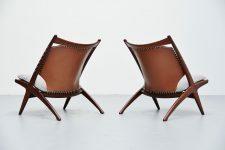 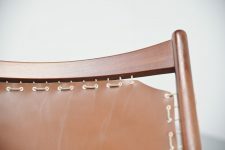 The chairs have a solid teak wooden frame and a very nice leather back fixed to the teak wooden frame with a white rope. 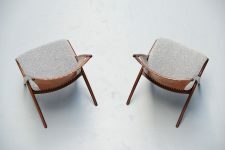 The seats are reupholstered in very nice Danish fluffy fabric that is very soft and looks great with the chairs in contrast to the brown leather and teak wood. 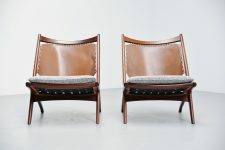 These chairs are very hard to find in a pair and look amazing. 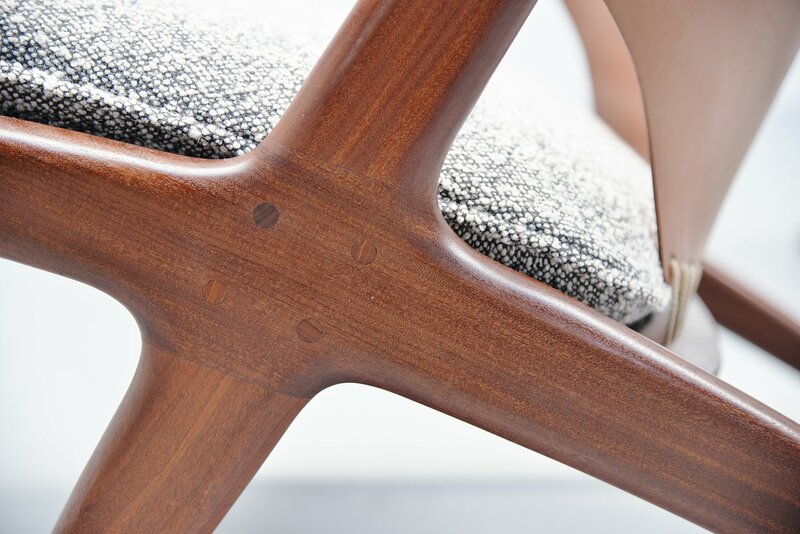 Comfortable chairs with nice details.